In Turning Proverbs towards Torah, Elisa Uusimäki offers the first monograph on the early Jewish wisdom text 4Q525 from Qumran. Following the reconstruction of the fragmentary manuscript, Uusimäki analyses the text with a focus on the reception and renewal of the Proverbs tradition and the ways in which 4Q525 illustrates aspects of Jewish pedagogy in the late Second Temple period. She argues that the author was inspired by Proverbs 1-9 but sought to demonstrate that true wisdom is found in the concept of torah. He also weaved dualistic elements and eschatological ideas into the wisdom frame. The author's intention, Uusimäki argues, is to form the audience spiritually, encouraging it to trust in divine protection and blessings that are bestowed upon the pious. Akiva Cohen investigates the general research question: how do the authors of religious texts reconstruct their community identity and ethos in the absence of their central cult? His particular socio-historical focus of this more general question is: how do the respective authors of the Gospel according to Matthew, and the editor(s) of the Mishnah redefine their group identities following the destruction of the Second Temple? The author further examines how, after the Destruction, both the Matthean and the Mishnaic communities found and articulated their renewed community bearings and a new sense of vision through each of their respective author/redactor's foundational texts. The context of this study is thus that of an inner-Jewish phenomenon; two Jewish groups seeking to (re-)establish their community identity and ethos without the physical temple that had been the cultic center of their cosmos. Cohen's interest is in how each of these communities (the Matthean and Mishnaic/Rabbinic-related ones) underwent a reformulation of their identity as Israel , and the consequent ethos that resulted from their respective reformulations. Consider the idea of sin—a notion familiar from theological discussions and often understood as a violation of divine will. No doubt for many, the (Hebrew) Bible is viewed as the source from which one might derive a definition of what constitutes sinful action. Beyond merely enumerating the individual varieties of sin, however, the texts of the Hebrew Bible also employ the language of ‘sin’ as a rhetorical mode, articulating sin’s consequences and implications, calling for urgency of action where it might otherwise be lacking, and providing ways through which to conceptualize the relationship between the human and the divine. See Also: Patterns of Sin in the Hebrew Bible: Metaphor, Culture, and the Making of a Religious Concept (New York: Oxford University Press, 2016). PRINCETON UNIVERSITY PRESS BLOG: Why read the Hebrew Bible? An interview with John Barton. NEW JOURNAL: PHILOLOGY: An International Journal on the Evolution of Languages, Cultures and Texts. Philology was born as a subversive discipline, one that asserts our right to read and study holy texts, despite the obscurantism of their guardians. However, the field has gradually transformed its inclination towards freedom into inflexible methods and regimes of «truth». As scholars open to questioning our own complex, ever-changing roles in the contemporary world, we must doggedly refuse to be co-opted by mainstream studies and must assert our right to be irreverent, which lies at the very root of the notion of science. In the light of the foregoing, Philology sees research first and foremost as a form of rebellion and as a defense of dissent. Constructions of Space III engages space both as focus in the texts under discussion, but also as analytical perspective. It explores more specifically how the Bible does not contain one, or even several, notions of sacred/holy space, even if there are undoubtedly many spaces described as such. It rather tries to trace how the discourses of space and those of the sacred intersect and interact in various writings of the Bible, more like points in a diagram, resulting in highly different ways of conceptualizing the sacred. A spatial-critical perspective can help us better understand how the relationship between notions of holiness and of space was a more dynamic one; as notions of space changed, so notions of holiness changed, and vice versa. Such a perspective also opens up further questions such as how the Temple's periphery is constructed, and how a human being can move and orient him- or herself in such a space over-loaded with meaning. The Proselyte and the Prophet: Character Development in Targum Ruth by Christian M. M. Brady is an exegetical study of Targum Ruth with a focus upon the transformation of the biblical characters into exemplars of rabbinic piety. Ruth becomes the ideal proselyte while Boaz is presented as a judge, a scholar of the Law, and a prophet. Brady demonstrates that the Targumist follows standard Targumic practice, rendering each Hebrew word of the biblical text into Aramaic, while making additions that further his agenda of presenting Ruth as a rabbinic model to be emulated. In addition to the character analysis Brady provides a transcription of the manuscript Valmadonna 1, a new translation into English, and a verse-by-verse commentary of Targum Ruth. Chris Brady's Targum Ruth Project has been mentioned by PaleoJudaica here and links. František Ábel explores one of the topical issues of Paul's theology, namely the role and influence of the Jewish Pseudo-epigraphs, literature written during Greek and early Roman periods (4th century BCE to the 2nd century CE), on Paul's theological thinking. Within this corpus the idea of eschatological concepts, such as the concept regarding the coming of the Messiah and the Last Judgment in particular, arises frequently. It is similar in the case of the Psalms of Solomon with the Last Judgment as the main topic of this pseudepigraphon. Through close analysis and exploration of particular parts of this work, the author proposes that this deuterocanonical writing could form a considerable background for the proper understanding of Paul's messianic ethics. From this point of view, Paul's teaching on justification should be understood as one that is reflective of God's grace, while at the same time expressing faith and deeds as necessary for salvation. AWOL: Open Access Journal: Biblical Hebrew eZine. Somewhat similar to Yona Sabar's Hebrew Word of the Week column, but focusing on biblical Hebrew. NEWS YOU CAN USE: Ge'ez Grammars Online (James Hamrick, The Ancient Bookshelf). Ge'ez, you will remember, is the old Ethiopic language in which the only complete versions of 1 Enoch and Jubilees survive in translation. HT James McGrath on Facebook. What’s the Matter with Babylonian Talmudic? What’s the Matter with Samaritan? The blog was noted last year here. All three posts above have been put up since then. This volume contains a critical edition and an introduction to the Arabic translation and commentary on the book of Proverbs by one of the most acclaimed, innovative, and prolific exegetes of the Karaite “Golden Age” (10th-11th centuries), Yefet ben ‘Eli ha-Levi. Yefet’s commentary on Proverbs attests to his rationalistic and revisionist ideology and to his egalitarian approach. His work is an invaluable link in the history of interpretation of the book of Proverbs. This edition is accompanied by an introduction including a thorough study of Yefet’s style of writing compared with the Arabic model of his time, his hermeneutic devices contrasted with those of Saadiah Gaon and midrash, his theology in light of the doctrines of Islamic Mu‘tazila, and his polemics against various groups. More on the Karaites and on Saadiah Gaon in relation to them is here and links. In Luke-Acts, Jesus can be seen to take on the attributes of the Davidic shepherd king, a representation successfully conveyed through specific narrative devices. The presence of the shepherds in the birth narrative can be understood as an indication of this understanding of Jesus. Sarah Harris analyses the multiple ways scholars have viewed the shepherds as characters in the narrative, and uses this as an example of how the theme of Jesus' shepherd nature is interwoven into the narrative as a whole. From the starting point of Jesus' human life, Harris moves to later events portrayed in Jesus' ministry in which he is seen to enact his message as God's faithful Davidic shepherd, in particular, the parable of the Lost Sheep and the Zacchaeus pericope (19:1-10). Harris uses this latter encounter to underline that Jesus may be hailed as a King by the crowds as he enters Jerusalem, but he is not simply a king. He is God's Davidic Shepherd King, as prophesied in Micah 5 and Ezekiel 34, who brings the gospel of peace and salvation to the earth. Follow the link for TOC and ordering info. Adelman, "The Role of Women in the Making of the Messianic Dynasty"
The episode and David and Bathsheba (1 Sam. 11-12) marks the pivotal point of decline in the king’s reign; its sequel (2 Kgs. 1-2), the accession of their Solomon to the throne, suggests a redemptive turn. Bathsheba plays a bivalent role in both the making (and breaking) of the king. In the narrative paradigm of the “female ruse” that lead up to the establishment of David’s kingship (the daughters of Lot, Tamar, and Ruth), Bathsheba is unique in that she does not play the seductress; she does however ensure Solomon becomes heir to throne, and in her subtle invocation of an oath (in the name of God) affirms David’s return to grace. See Also: The Female Ruse: Women’s Deception and Divine Sanction in the Hebrew Bible (Sheffield Phoenix Press 2015). The article is about the Davidic dynastic. Whether it counts as "Messianic" depends on your viewpoint and how you are using the term. Follow the link for the description, which I cannot get to format intelligibly from the PDF. (Requires access to Academia.edu.) Looks like a large and important undertaking. This collection of essays originates from the 2014 Evil in Second Temple Judaism and Early Christianity conference hosted by the Centre for the Social-Scientific Study of the Bible at St Mary's University, Twickenham. Featuring an international collection of senior and junior scholars, it represents the cutting edge of scholarship on portrayals of evil in the Second Temple period and the earliest centuries of Christianity. The individual essays consider the significance of “evil” as it relates to a diverse set of topics, including Qumran and its texts, images of disability in 2 Maccabees, dissociations of Jesus from evil in early Christian manuscripts, the “apocalyptic Paul,” Jesus' exorcisms, Gospel cosmologies, the epistle of James, 4 Ezra, the Ascension of Isaiah, Marcion, John Chrysostom, and the Acts of the Martyrs. Past posts on the Evil in Second Temple Judaism and Early Christianity conference are here, here, and here. BIBLE PLACES BLOG: Recommended: A Week in the Life of a Roman Centurion (Todd Bolen). Davies, Paul Among the Apocalypses? About Paul Among the Apocalypses? A vibrant and growing field of discussion in contemporary New Testament studies is the question of 'apocalyptic' thought in Paul. What is often lacking in this discussion, however, is a close comparison of Paul's would-be apocalyptic theology with the Jewish and Christian apocalyptic literature of his time, and the worldview that literature expresses. This book addresses that challenge. Covering four key theological themes (epistemology, eschatology, cosmology and soteriology), J. P. Davies places Paul 'among the apocalypses' in order to evaluate recent attempts at outlining an 'apocalyptic' approach to his letters. While affirming much of what those approaches have argued, and agreeing that 'apocalyptic' is a crucial category for an understanding of the apostle, Davies also raises some important questions about the dichotomies which lie at the heart of the 'apocalyptic Paul' movement. BLOGCRITICS: Book Review: ‘Magic In Islam’ by Michael Muhammad Knight (Richard Marcus). I'M TAKING THE REST OF THE WEEK OFF WORK. I have plenty of things pre-posted and there will be something new for you every day, so do keep visiting PaleoJudaica as normally. I don't, however, plan to make much effort to keep up with news stories this week. But I will be reading my e-mail reasonably regularly, so if someone finds the Holy Grail while I'm away, feel free to drop me a note so I'm aware of it. Otherwise, have a good week. NEW BOOK: MURAOKA’S LXX GRAMMAR IS AVAILABLE (Mike Aubrey, Koine Greek blog). Just published by Peeters Publishers. A review of Muraoka's A Greek-English Lexicon of the Septuagint was noted here. THE TALMUD BLOG: “WE READ THUS”: ON HACHI GARSINAN AND LEARNING TALMUD IN THE 21ST CENTURY (amitgvaryahu). I mentioned the Hachi Garsinan Talmud project last month here. FIRST THINGS: THERE AND BACK AGAIN: A FIRST-CENTURY JEWISH TALE (Wesley Hill). For earlier reviews, see here and links. The Septuagint is a Jewish Bible translation which came into existence in the 3rd century BC and became Judaism's basis in the Greek-speaking world. 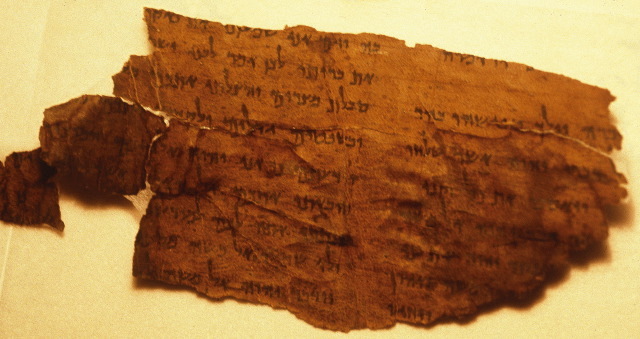 From a historical textual perspective, it is the most important source for the Old Testament besides the Hebrew-Masoretic text and the only very partially preserved biblical Qumran texts. This volume's contributions cover a wide spectrum of this discipline's themes – Septuagint Studies is a separate field lying at the interface of ancient Judaism and the historical-exegetic orientated theological disciplines – and arose from the Septuagint Deutsch Project's 5th International Conference. HAPPY ANNIVERSARY! This Day In History 5 Tamuz/July 11 (Hamodia). In 3333/428 B.C.E., Yechezkel Hanavi received a nevuah at the river of Chebar about Maaseh Merkavah. That perek is read as the haftarah on Shavuos. Let me unpack that a bit. Tammuz is the fourth month of the Jewish calendar and the fifth day of that month varies from year to year in the secular Gregorian/civil calendar, but this year it happens to be today. On that date Ezekiel the prophet received a prophecy at the river of Chebar about "the working of the Chariot." That section is read as the synagogue reading from the prophets on the Sabbath of the relevant week — i.e., this week. The passage in question is Ezekiel chapter one. The phrase Ma'aseh Merkavah means "the working of the Chariot" or "the matter of the Chariot," or the like. The "Chariot" is God's throne, which also has wheels according to Daniel 7:9 and related Second Temple Jewish visionary literature, including 1 Enoch (the Book of the Watchers) 14:18 and the Book of Giants (see A.12). These texts are inspired by Ezekiel's Merkavah vision, but the placement of the wheels in it is ambiguous. Ezekiel's vision, at least in the Hebrew text, does not use the term "merkavah"/"chariot." The dating of the event in the quote above follows the traditional Rabbinic chronology, which at that point is off by about a century and a half from the modern scholarly reconstructed chronology (which is based on excavated cuneiform material and is highly reliable). Ezekiel's vision actually took place in 593 BCE on the fifth of Tammuz. Ezekiel's Merkavah visions in the Book of Ezekiel chapters one and ten were fundamental inspirations behind much of Western mystical literature, the best-know example of which is perhaps Revelation 4 in the New Testament. But they also heavily influenced the mystical work of Pseudo-Dionysius the Areopagite, which was a major wellspring of subsequent Christian mysticism. Ezekiel's visions are also the fundamental inspiration of Jewish Merkavah mysticism as found in the Hekhalot literature, on which much more here, here, here, here, here, and links. Merkavah mysticism was in turn a major influence on the medieval Jewish mysticism of the Kabbalah. AWOL: Please participate in the Open Access Cooperative Publishing Study. While subscription journals are the principal focus of this study, this cooperative includes a place for existing open access journals, and their editors and publishers are welcome to participate in this survey as well. LARRY HURTADO: Jesus-Devotion and YouTube. For those who prefer YouTube to reading books (or at least might want to judge first whether to read them), I note again that on YouTube you can find some videos in which I sketch my findings on the origins of Jesus-devotion, for example, here. This is one of Larry's central area of interest and expertise and it's good to see that some of his thoughts on it are available in multiple media. READING ACTS: 2 Enoch and the Sermon on the Mount – 2 Enoch 38-63. Past posts in the series on the ancient books of Enoch, plus on related matters, are noted here and links. ARCHAEOLOGY: Discovery of Philistine Cemetery May Solve Biblical Mystery. An unprecedented find in southern Israel may finally reveal the origins of one of the Hebrew Bible's greatest villains (Kristin Romey, National Geographic). Naturally, the key discovery was made on the last day of an excavation season (2013). That's what always happens. Long, informative article. Read it all. As I've mentioned before, I was a lowly staff member at the Ashkelon excavation way back in the 1987-88 seasons, when I was a doctoral student. Related: Philistines Were More Sophisticated Than Given Credit For, Say Archaeologists (Reuters/The Forward). ASHKELON, Israel, July 10 (Reuters) - Philistines were no “philistines,” say archaeologists who unearthed a 3,000-year-old cemetery in which members of the biblical nation were buried along with jewelry and perfumed oil. “The Philistines have had some bad press, and this will dispel a lot of myths,” Stager said. And then there's this: Philistine cemetery uncovered in archaeological dig in Israel, Goliath's people were 'normal sized' (AFP). No giants! Deane Galbraith, call your office. LEEN RITMEYER: 10th Anniversary of The Quest. In July 2006, my book The Quest: Revealing the Temple Mount in Jerusalem was published. The launch of The Quest took place at the International Christian Retail Show in Denver, USA. Not a new book, but not noted before by PaleoJudaica. Cross-file under Temple Mount Watch. BIBLIOGRAPHIA IRANICA: Levantine Epigraphy from the Achaemenid Period. Notice of a newish book (but not noted here before): Lemaire, André. 2015. Levantine epigraphy and history in the Achaemenid period (539-332 BCE). First edition. (Schweich Lectures on Biblical Archaeology 2013). Oxford: Oxford University Press. Cross-file under Northwest Semitic Epigraphy Watch, Aramaic Watch, Phoenician Watch, etc. EXPLORING OUR MATRIX: Galilee in the Late Second Temple and Mishnaic Periods Volume 1 (James McGrath). For anyone interested in the history of the ancient Mediterranean world, this book will be a rewarding read. For those seeking to understand the New Testament, I would say that it is absolutely essential. There is more work being done about ancient Galilee than a New Testament scholar is likely to be able to keep up with unless their research focuses exclusively on that aspect. For the rest of us, this distillation is a godsend, and I highly recommend it. READING ACTS: Enoch and the Mysteries of God – 2 Enoch 23-37. Oops! I had missed this one. Past posts in the series on the ancient books of Enoch, plus on related matters, are noted here and links. SYRIAC (AND ARMENIAN) WATCH: Quran in Armenian translation in high demand in Lebanon (Daily Sabah). Turkish publisher says an Armenian translation of the Quran has drawn attention in Lebanon where a sizeable Armenian community lives. The publisher plans to deliver 1,000 books in the coming days to the country. Murat Rumevleklioğlu, who runs BM-AR, said the translation, in the eastern and western dialects of Armenian, was based on two separate Turkish translations of the book. He said they donated 1,400 Qurans in Armenian to Aram Ateşyan, the acting patriarch of the Armenian Orthodox Church in Istanbul. "We want to deliver it for free so that Armenians can learn about Islam and appreciate that Ateşyan consented to deliver it to his community interested in learning about Islam," he said. Historically, translation of the Qur'an into other languages has been discouraged, since the understanding has been that the original Arabic text is the text inspired by God and any translation is only an imperfect interpretation. So Muslims were expected to learn Arabic and read the Qur'an in the original. But this translation project, which goes far beyond Armenian (see at the link above), seems to be aimed at non-Muslims to spark interest in Islam. Rumevleklioğlu said word of mouth helped their campaign deliver the Qurans in Armenian to spread to other countries and this led to increased interest from Lebanon. He said they are now working on Hebrew and Syriac translations. "There isn't any comprehensive translation of the Quran in these languages. We are now meticulously working on providing good translations," he said. There area already translations of the Qur'an into Hebrew, but as far as I know, it has not been translated before into any form of Aramaic. There is, of course, Christoph Luxenberg's theory that the Qur'an was substantially translated from Aramaic (Syriac), but this is controversial. And, in any case, it is another matter. Background on the possible connections of the Qur'an with Aramaic is here and links.